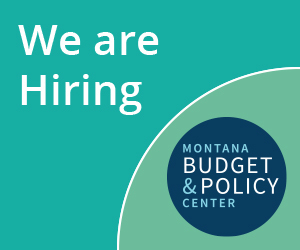 Montana is missing out on millions of dollars every day, in addition to thousands of jobs, by not expanding the state’s Medicaid program so more Montanans can gain health coverage. On January 1, 2014, the federal government made funds available to states that choose to expand their Medicaid programs. Because Montana’s legislature has so far refused to accept the federal funds and extend Medicaid coverage to as many as 70,000 low-income individuals, Montana has been losing as much as $1.96 million of federal funds every day. Additionally, Montana is losing out $1.38 million in increased labor productivity from the 12,000 jobs that expansion would create. This increased labor income would also help generate $143,750 in state and local tax revenue every day. Medicaid expansion is an important opportunity for our state, and every day it is delayed Montana loses out on millions of dollars that could be used to create jobs, support our economy, and provide health care coverage to 70,000 low-income Montanans. >> Read our full fact-sheet here.